A box set bundle of books at 25%+ off of three huge full-length novels. A heart-pounding supernatural epic. A high desert town has turned toxic after twenty years of nightmares. Now, a woman in Los Angeles believes her visions and memories are signs of insanity; a man named Peter Chandler follows a teenager into a house of darkness; in New York City, a cab driver begins to see a demon-haunted world all around him — while he’s driving. 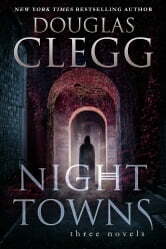 From Bram Stoker winner Douglas Clegg comes a novel of heart-pounding suspense and supernatural horror. What secrets lie within the ancient place known as the Goat Dance? Nightmarish forces lurk in the mountains of Virginia. Those long-dead return in nightmares – and a small town must face its terrifying past as a possessed child threatens to unleash an unspeakable horror. 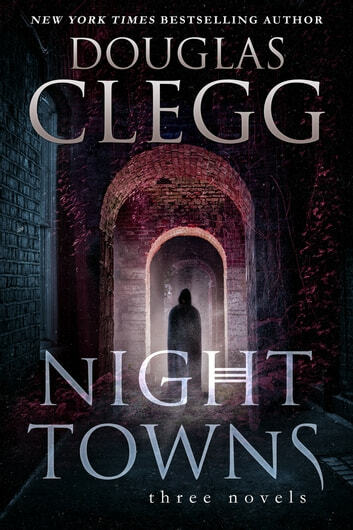 Three novels of supernatural horror set in towns as dark as night -- more than 1500 pages if in print!